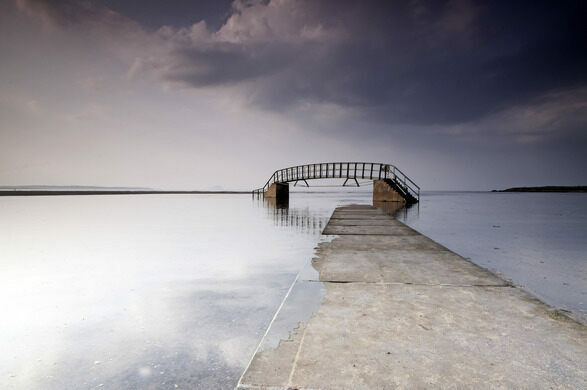 The sea frequently threatens to drown this forsaken bridge, whirling around its base and cutting it off from the land. 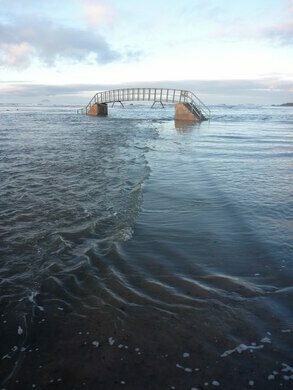 But surprisingly, this strange “bridge to nowhere” actually does lead to somewhere. A curious collection of modern mechanical moving figures. 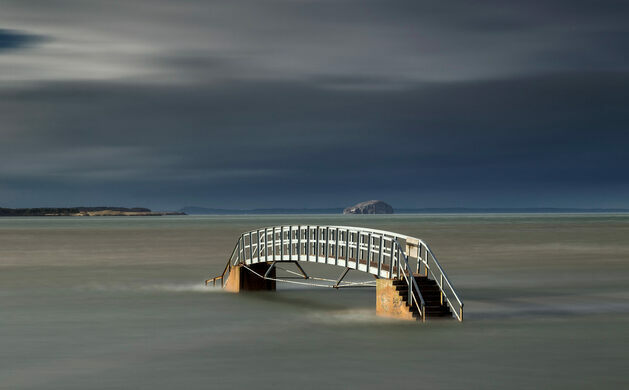 It’s used by those looking to cross the Biel Water, a reasonably large stream that runs through the village of Biel just to the south of Dunbar, Scotland. 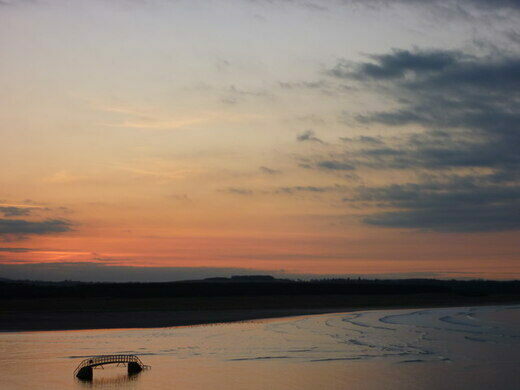 The stream runs for almost three miles from the Luggate Burn before eventually finding its way into to Belhaven Bay. 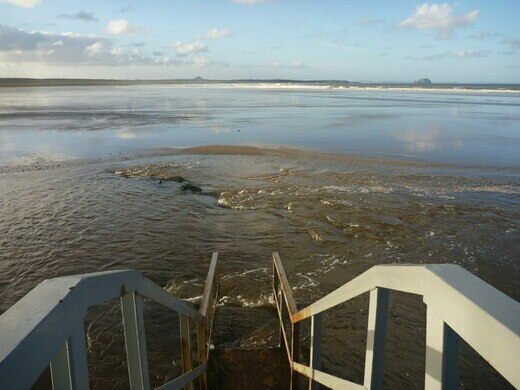 Just before it discharges into the North Sea, the stream flows under a short metal footbridge with concrete pillars and steps. 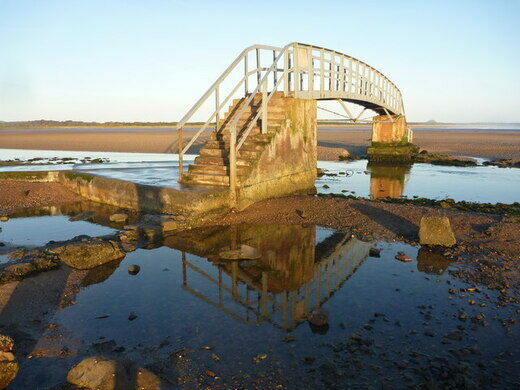 At low tide, you can walk over this bridge to access the beach beyond it. 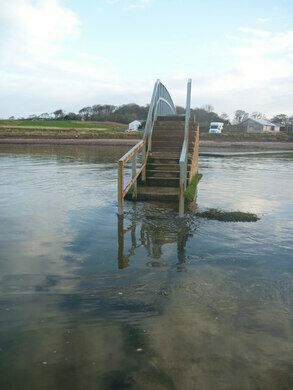 When the tide comes surging into the shore, what should be an easy path to the beach becomes suddenly impassable. 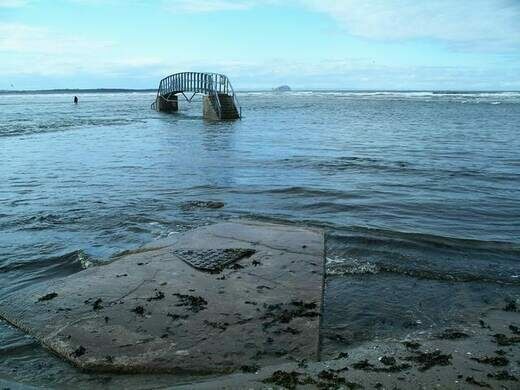 At high tide, the water swallows the land around the bridge, making it look as though it’s stranded in the middle of a sea. 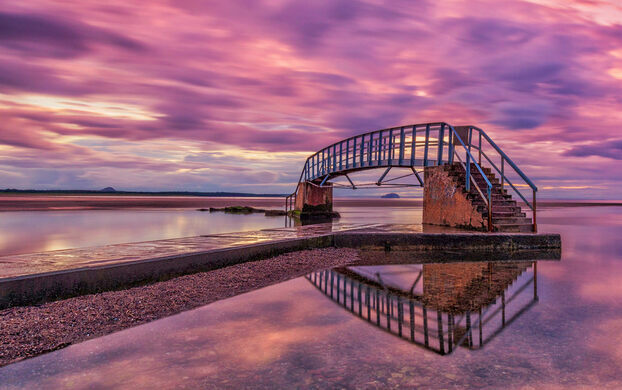 Though not helpful for those looking to cross, the sight of the lonely bridge surrounded by swirling waters that reflect the colors of the sky above makes for a beautiful photograph. 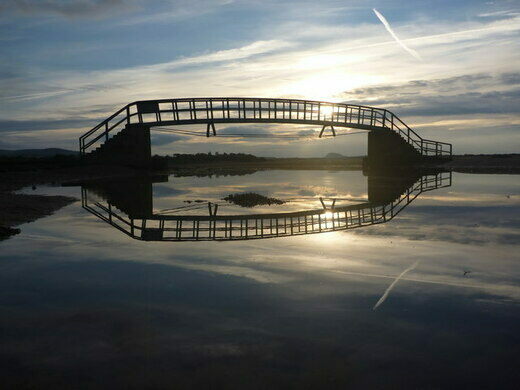 The sands on the far side of the bridge are soft and subject to movement. 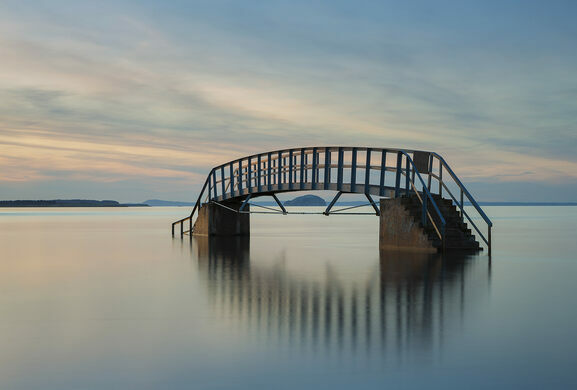 Do not be surprised if stepping off the far side of the bridge involves stepping into water. An ingenious solution to a tricky engineering problem, this circular bridge takes drivers for a dizzying spin.